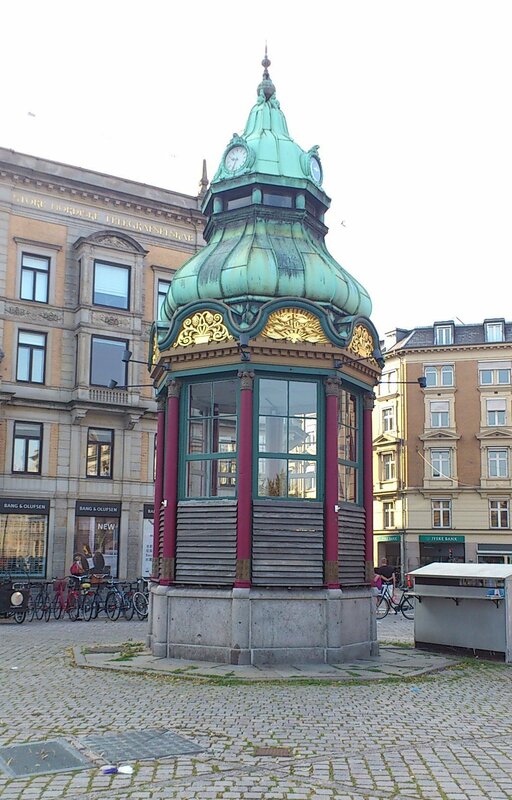 Last week when we went to The Irish Rover for Fish n’ Chips we walked by a place that looked exactly like the Fish and Chix place that we tried to visit in Kongens Nytorv but was closed. The funny part being that the square we found this place in is called Nytorv (without the Kongens before) so we figured this might be the place. 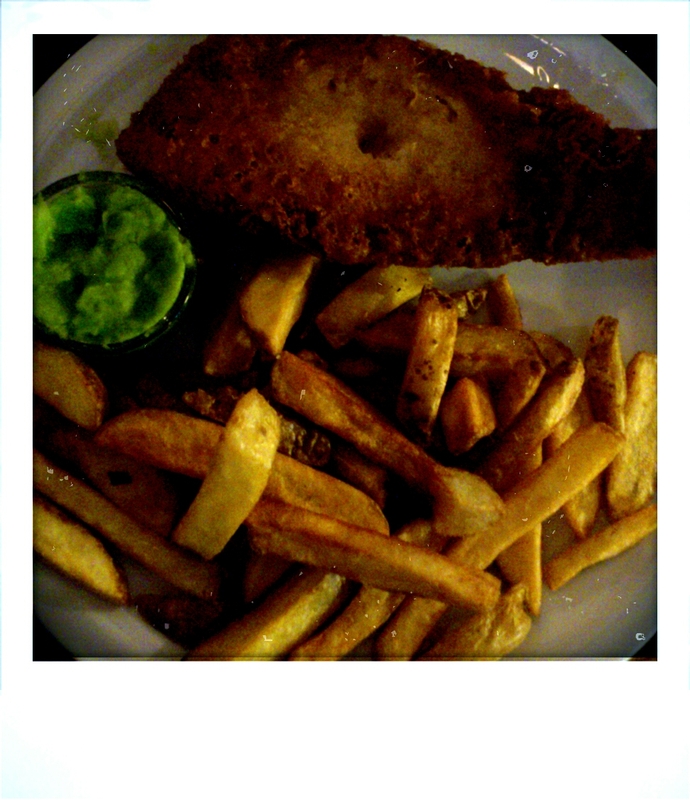 Thus we took aim for todays Fish n’ Chip session, but alas it does not seem to be meant to be. 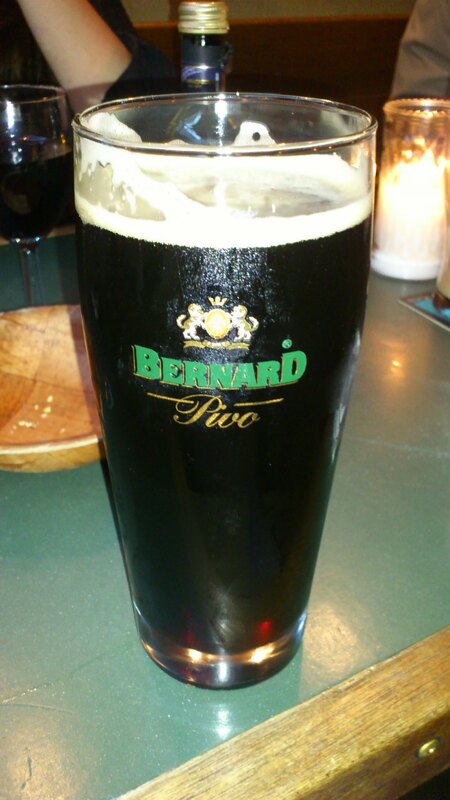 This after some confusion as there is one bar called Charlies (where me and Miss Legal conducted todays warm-up session) and one bar called Charlie Scott’s (where Mr Grumpy and Da Teacher conducted their warm-up session). The thing was as well, that I did not expect the place to not be open, our guess is that it closed due to the heavy rainfall of today (and every other day this summer), so there was no back-up plan. And yes, one can think that a world city like Copenhagen have an abundance of Fish n’ Chip serving places, this is not true. 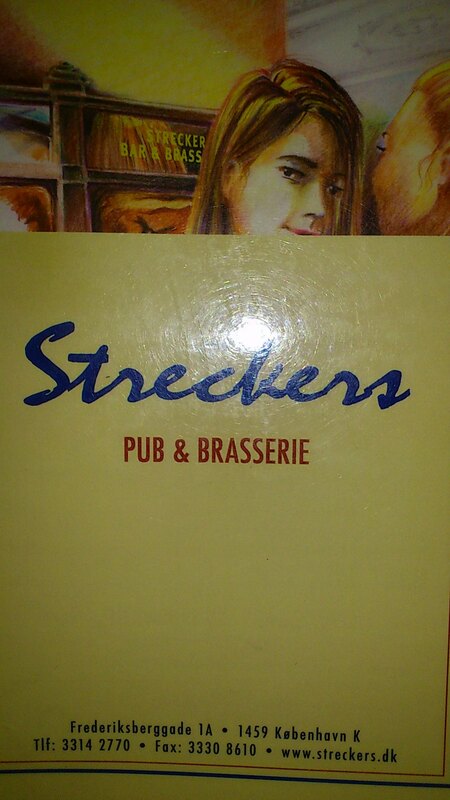 However Mr Grumpy did save the evening by remembering this place called Streckers, and there we went. It wasn’t until I came home that I realized that a place called Streckers is on the Fish n’ Chips list, give it a couple of minutes more and I realize it is not the same place as we went to today. The food was quickly served compared to the drinks, there was a promise from the guy behind the bar that someone would come to our table and take the drink order. This did not happen until I accidentally spoke a little bit loudly about the to be or not to be regarding the table service. 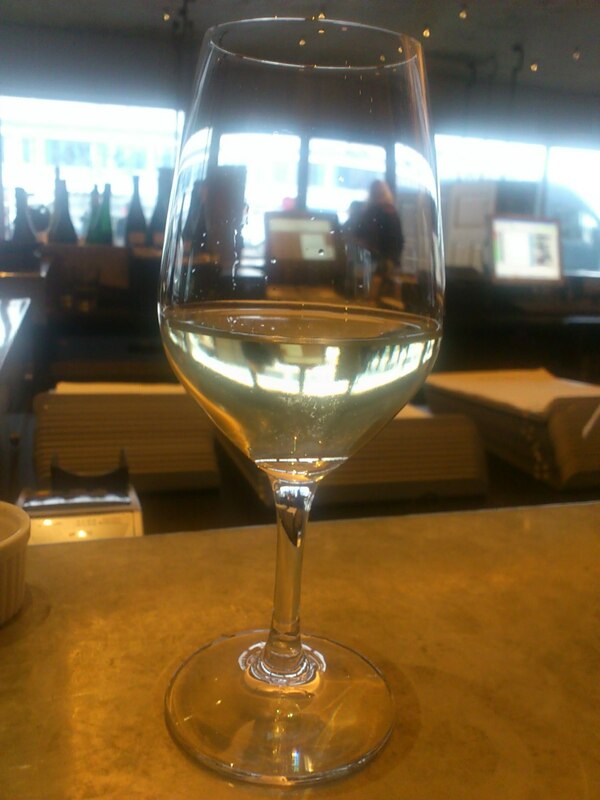 It seem that the waitress heard my monologue and rushed to the table to take our order. Once that was done, it didn’t take long for the drinks to arrive either. 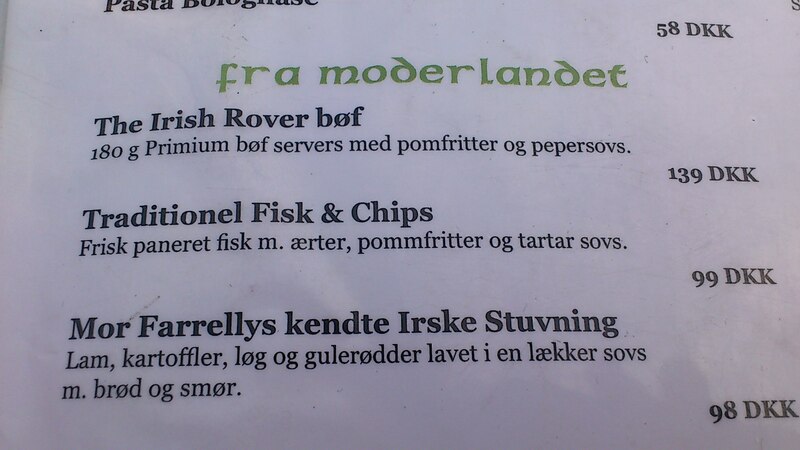 From the staff and the menu card, we were prepared for the fact that this was to be Danish Fish n’ Chips rather than British (also called classical) Fish n’ Chips. 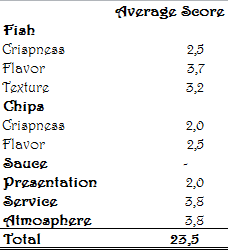 One example being that it is clearly stated that the sauce is Remoulade rather than Tartare sauce, for this reason the sauce has been graded as sauce. Honesty always work in the end! The food arrive, and the first comment was “What is that green stuff?”, yes there was salad on the plate, and this is noticed before the thin little chips that very closely resembled McDonald’s fries rather than chips. The lemon that was served on the plate was deemed more likely being the left-over from someones G&T rather than a squeezable lemon that would spread some lemony taste over the fish. 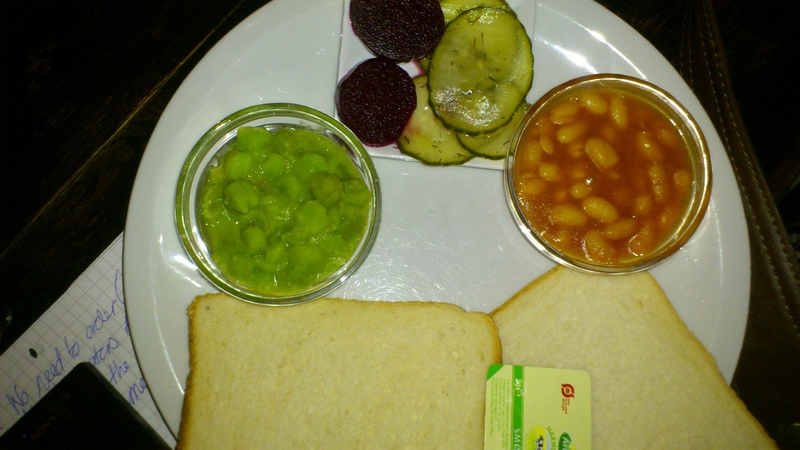 There was no vinegar or ketchup served or offered with the food. We did receive salt and pepper though, very lucky indeed as I, who never puts extra salt on the food, had to salt both the fish and the chips to get some taste. But in the long run, I should be happy, at least my batter contained some fish! Da Teacher was unlucky enough to receive a plate with a nice chunk of batter, not to bad tasting, but not much fish in it. The food in it self scored high points today, this might be due to the disappointment of one closed place, the expectation of not being able to eat this weeks ration of F&C and then the excitement of finding a place that serves the same. 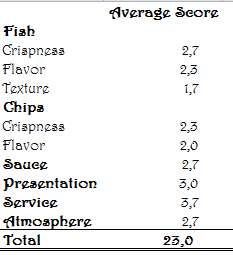 This combined with the fact that we ate much later today than usually, might have contributed to the upper level scoring of something that is not really F&C. Or we have just lowered our standards since we started this mission. It might also be that we did not deduct enough points for the blocked ladies toilets that made a trip into the mens room required. 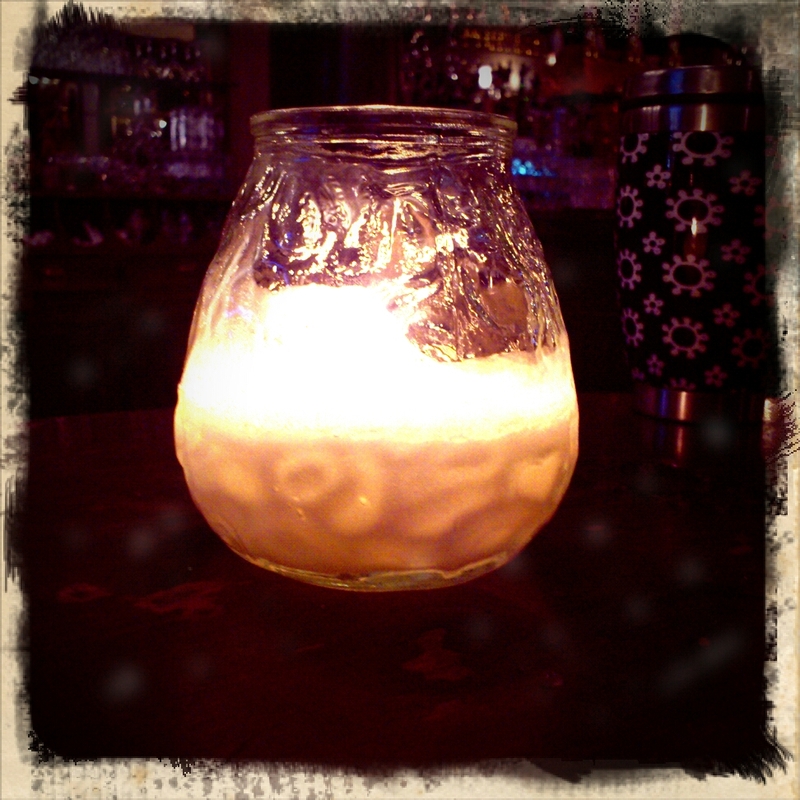 There was also the candles that Da Teacher claim being mosquito repellents, I have a cold so I can’t say, Miss Legal tought that they are more like grave candles. Either way, we have a new second placer on both lists! The magical lists and all other information is just one click away (hint, click on the rating below). This week the hunt for the best Fish n’ Chips that Copenhagen has to offer took us to the Irish Pub very suitably called The Irish Rover. Fellow judges this week were the always present Mr Grumpy as well as Da Teacher, the rest of the semi-regulars seemed to be busy with things like vacation and being home sick. The one thing that happens when you hang out with a teacher, is that, well she is a teacher, spelling mistakes are quickly discovered and pointed out. I do not think that she deducted any points from the food even though the word for fries is misspelled in the Danish menu. 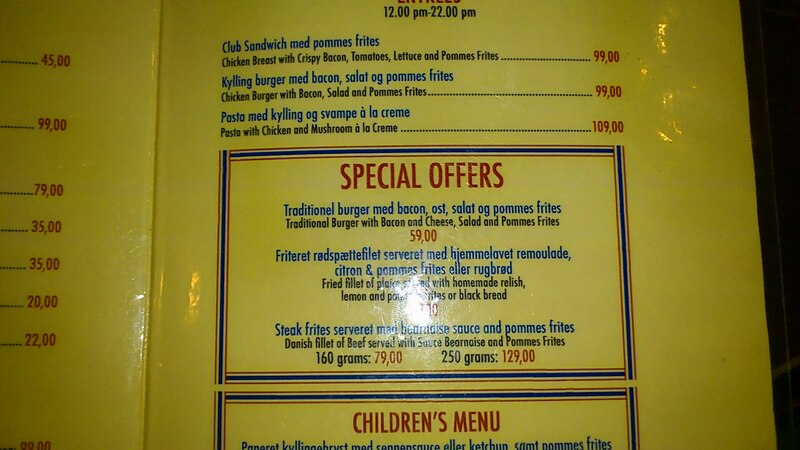 Not to worry, for all you non-danish speakers, this Irish Pub do have their menu in english as well, and in that one the word chips is correctly spelled. After that he says hi, and urges us to order the food even if he is not hungry, since he will not purchase another beer at this bar (for you who wonder, a pint is 50 Danish money). To make him happy, which me and Da Teacher always aim to, we order the food, babble away having a nice time and then got out food. To be honest I do not remember if the food took so long that I wondered if the food would be coming soon. If I didn’t then the food didn’t take to long, if I did, then order before you are hungry enough to want your food straight away. 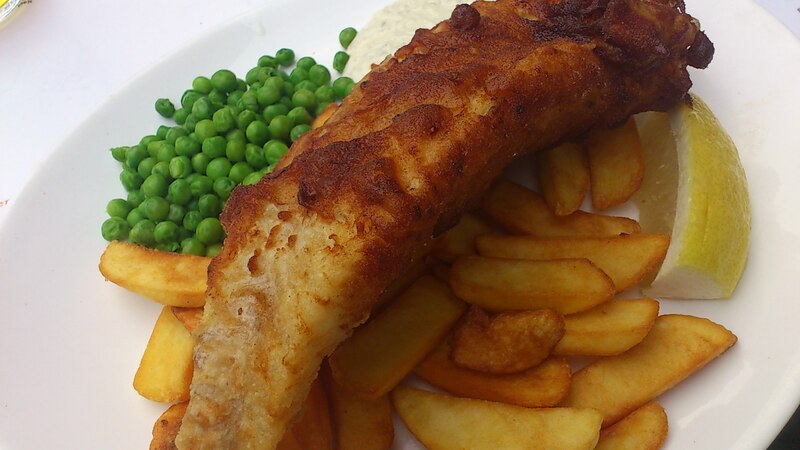 The fish was today served with chips (not wedges), tartar sauce (or something pretending to be) and peas (de-frosted rather than fresh), and a chunk of lemon. Since the menu didn’t contain this information, Mr Grumpy was kind enough to as, and the fish today was Haddock. He also thought that the biggest chunk of fish should be served to the man, but we all know that in the end it doesn’t matter, since he can eat what we little women do not finish. 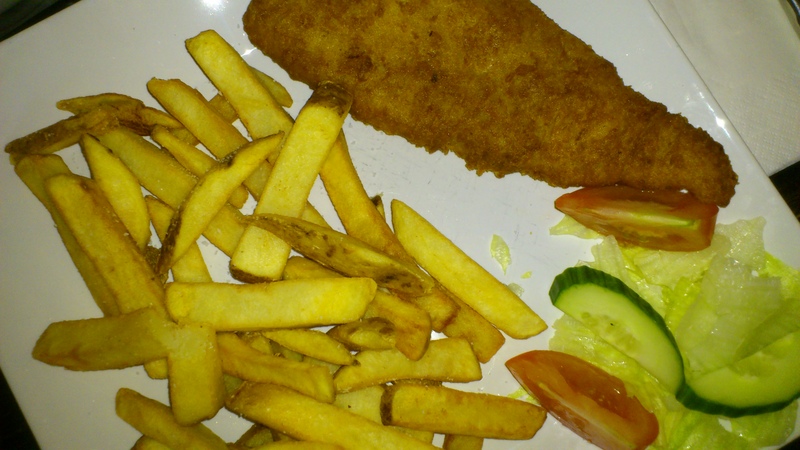 Not sure it is a very suitable fish n’ chip fish, since it pretty much crumbled when you started to cut into it. 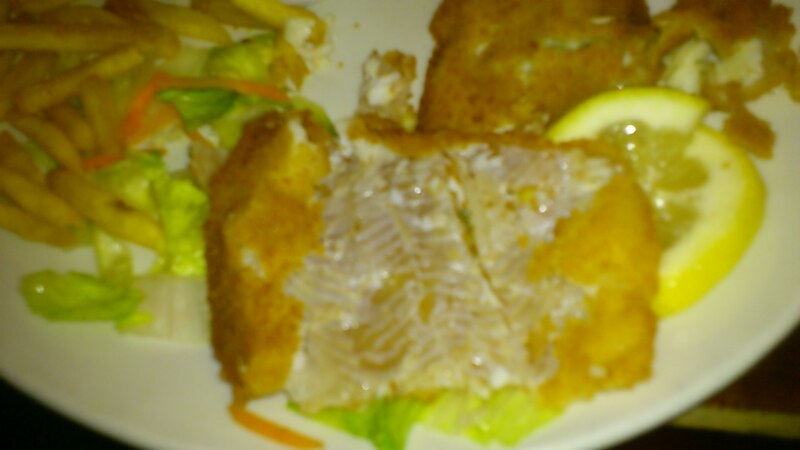 We were lucky that it wasn’t take-away fish as that would have been impossible to eat. The batter was also a sad sight this time, a very thin layer, crunchy but to thin. It also seemed like they forgot to put one part of the fish into the fryer, since the tails had a slightly different color than the rest of the fish. 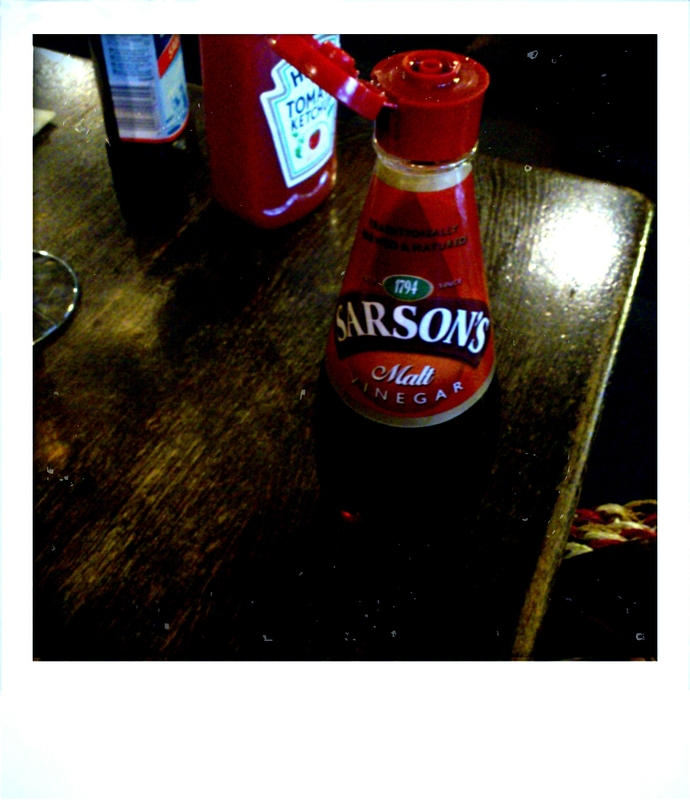 Mr Grumpy was happy though (guess that is what you call an oxymoron) when identifying vinegar on the table, points of for not being served in a bottle. Who can resist pink little plastic packages of vinegar though? There were also the Tartar sauce, I was under the impression that Tartar sauce was not supposed to be that sour but it was better than no tartare sauce at all. 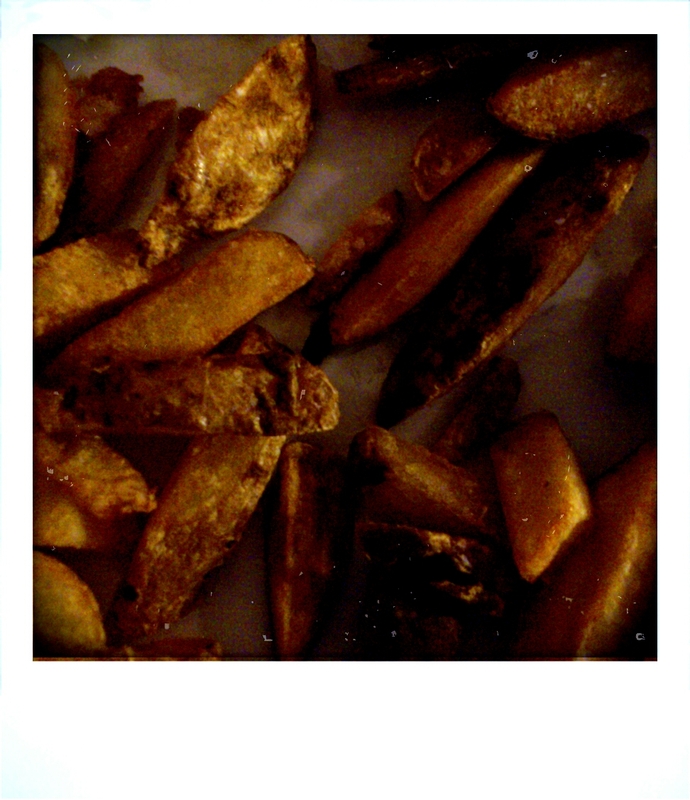 The chips were not very crispy, and could have done with some more time in the fryer. Not sure this would have helped them as according to Da Teacher, the fryer needed to be changed as the chips got their color from the fryer rather than being fried. Think that she might have to elaborate on that story herself as I did not take notes when she explained how this worked. 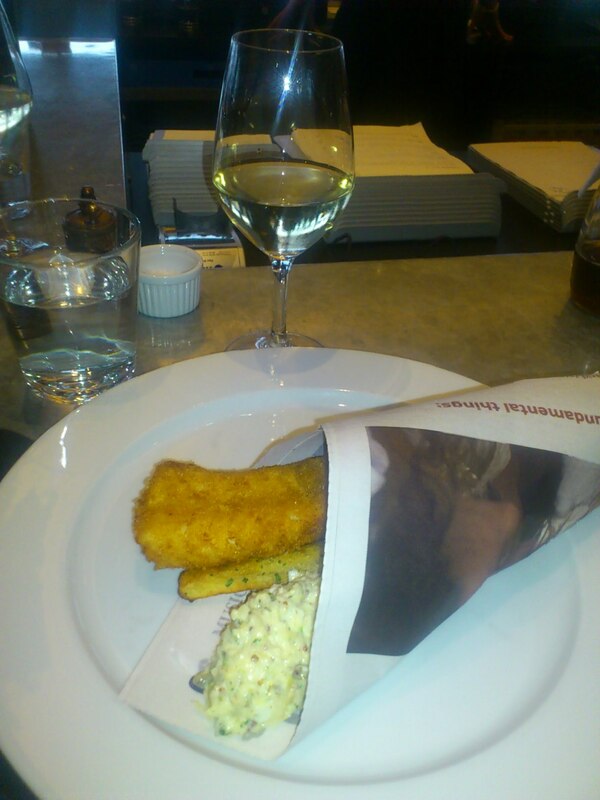 All in all, we can determine that this is not the best fish n’ chips in Copenhagen. 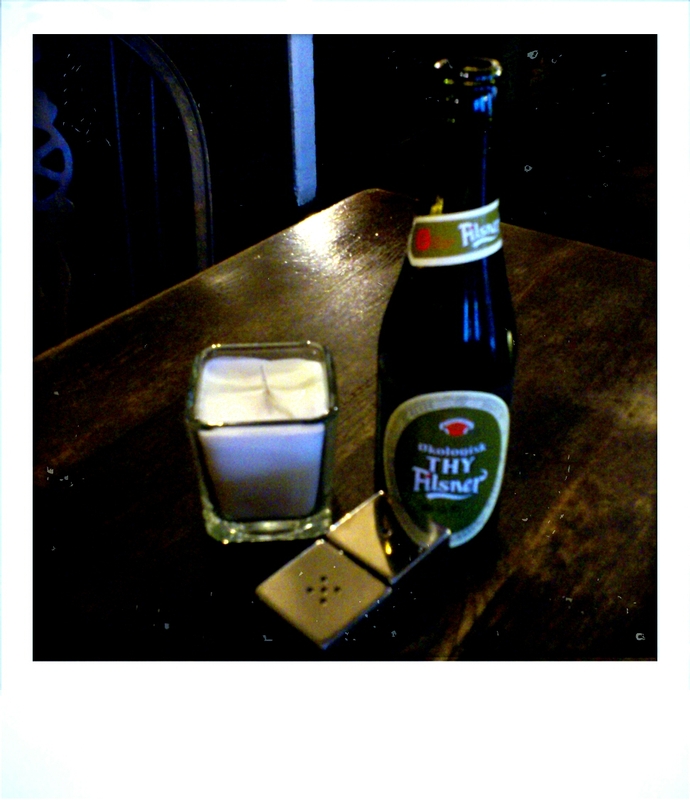 But it was a nice evening, probably one of the last where the meal can take place outdoors. And the service was good, especially if you compare with a few of the previous places we have been to. For you who missed out on those stories you can find them here and of course there is The Ranking. There was some confusion today. 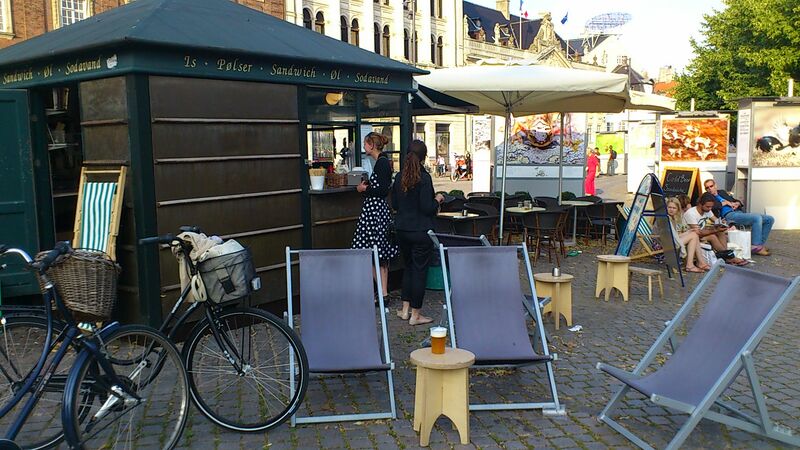 The original plan was to check out the Bishop Arms but as the weather was so great, and you never know how long that will last for in Copenhagen, we decided to change the venue to Fish and Chix as this is an outdoor eating location. Or I should say, was and outdoor eating location, since when we got there it was very much closed. 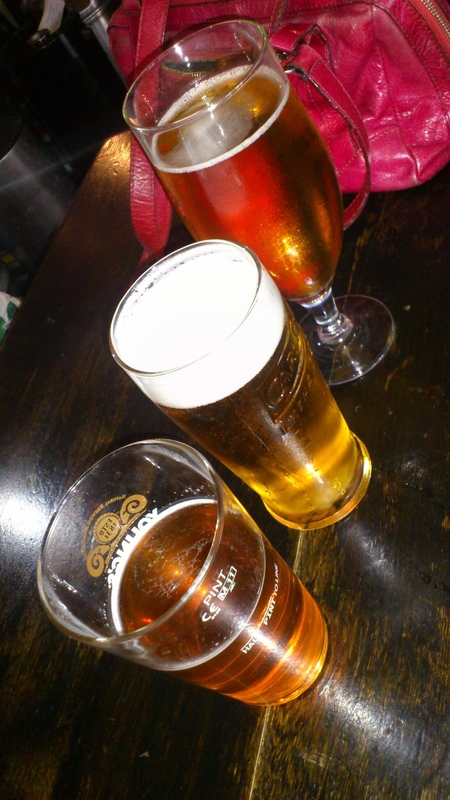 As we walked over to the closest venue for some warm-up beers and to wait for the rest of the fellow judges to join us (two expected and three maybe’s that no one was expecting) we found out that the place had been closed for some time now. 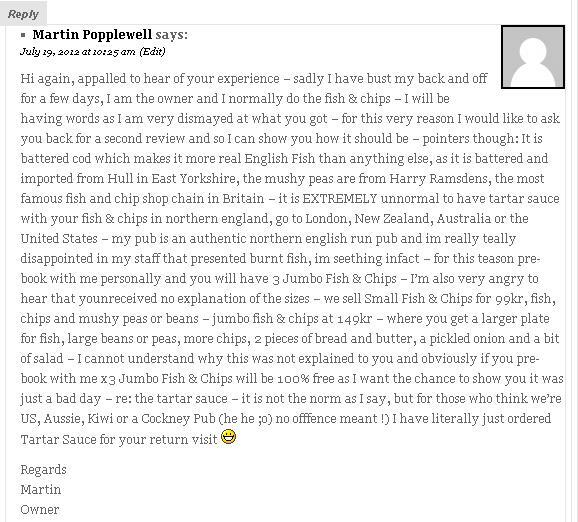 As this is one of the places that comes up on top of most the searches when looking for Fish n’ Chip places in Copenhagen, I will do my best to spread the word. 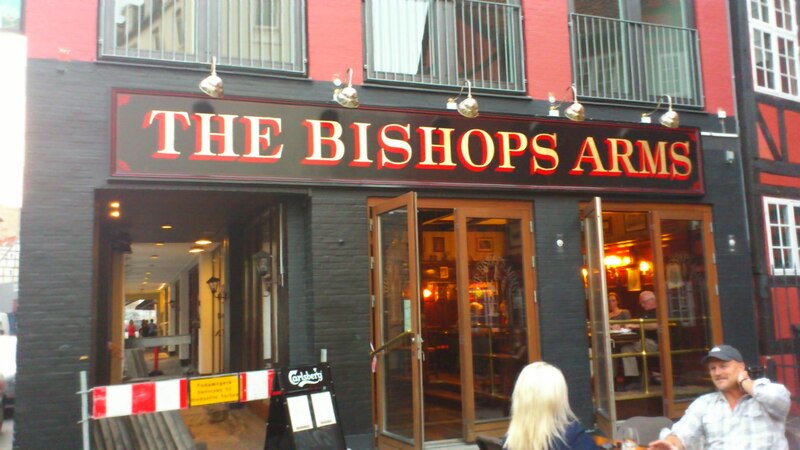 Well, as you can understand we went back to the original plan of Bishop Arms. And we tonight were of course me, the writer, Mr Grumpy (the only fellow judge that has attended all three sessions), Da Teacher, The Tourist and finally the return of Miss Legal. The first thing we realized as we sat down at our table, was the free dinner available underneath it. Since the weather is absolutely amazing, you can imagine how empty a dark and gloomy pub like this would be, and one would expect the staff to have time to properly clean up the messes that previous guests make on and around the tables, but apparently not. 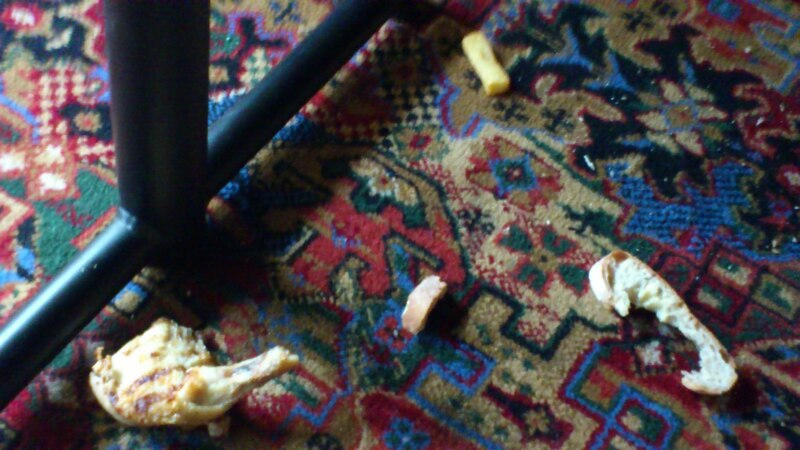 There was a nice big chunk of chicken some bread and a chip. At least we now know that there are chips and not potato wedges available and that would be a first. This is one of those places that you want to go to and order your food a little bit before you are actually hungry, again the place was almost empty and it still took almost 30 mins before we got our food. But once we got it, it was worth the wait. Finally! 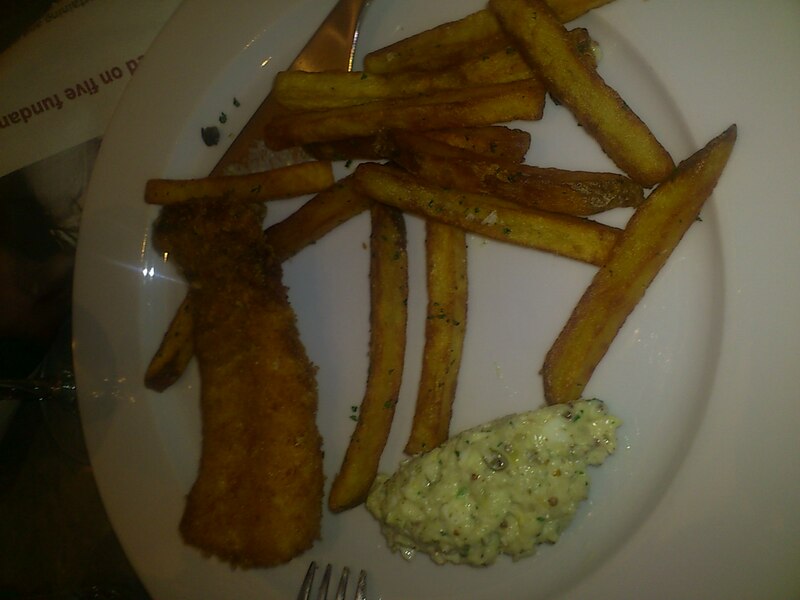 The fish n’ chips that was put in front of us actually looked like fish n’ chips should, including proper chips. 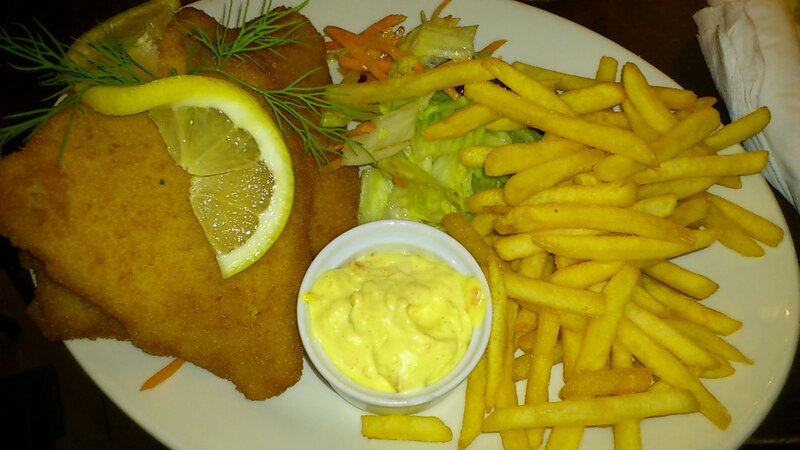 There where two pieces of fish, one big chunk and then a small kids version, with proper batter, crunchy batter. I have to admit that I forgot to check the menu for the type of fish, so we just assume that it was cod. And as mentioned the chips looked like real chips. The only problem being the crispness, they should have just thrown them in to the deep fryer together with the fish as they where a bit soft and soggy. 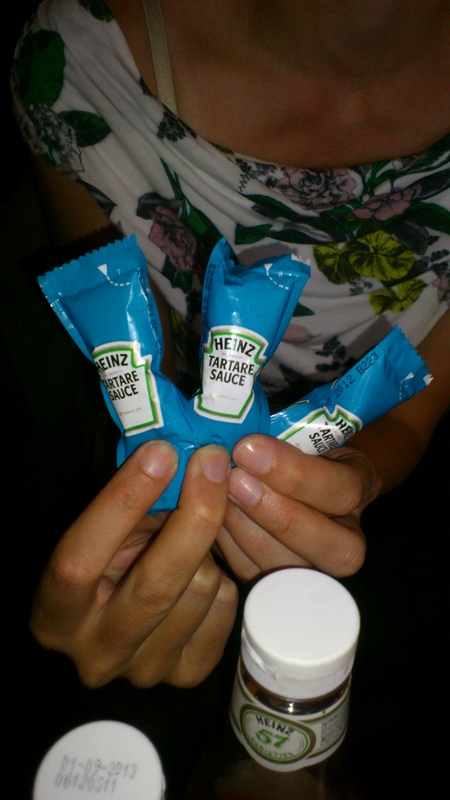 With the fish there where two little bowls, one containing the Tartar sauce, that was properly approved of. 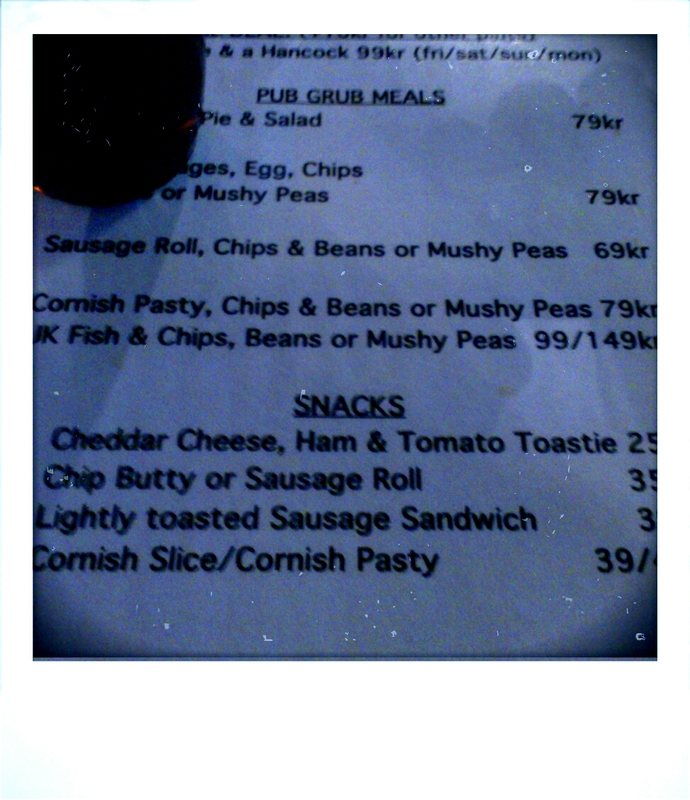 The other one was pea humus (according to the waitress) which was just cold mushed green peas, nothing else, strange. 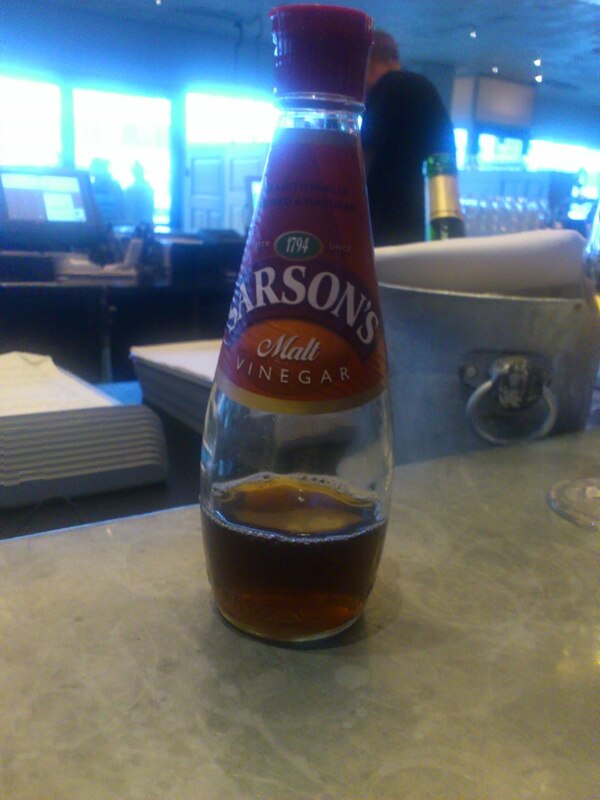 There was also vinegar on the table which the two brits approved of, no onelse really cares. Unfortunately today the food was not the main focus. After the dinner found under the table the non-cleaning continued to the bathrooms. Again one would think that with so little to do, the staff would have time to clean the ladies rooms, but apparently not. It was not a fun trip, which all three women of today agreed on. Fortunately for Bishop Arms, the toilets are not a part of the grading. 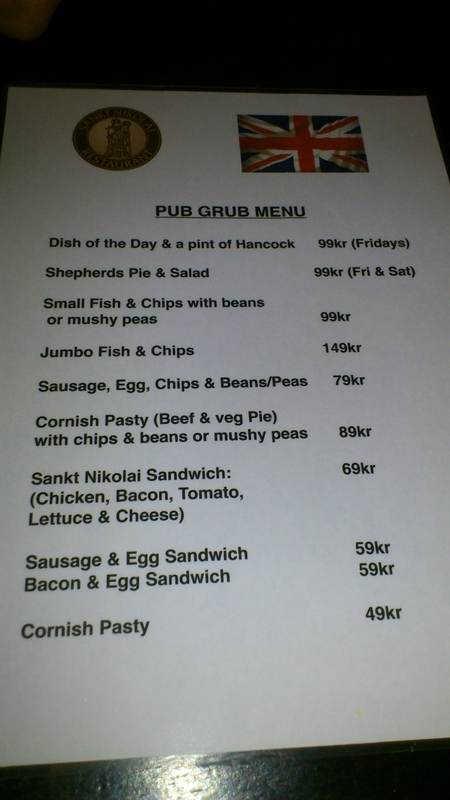 The cost of todays Fish n’ Chips were a whopping 149dkk, but at the same time, it was the best we’ve had this far. But it would probably be better to eat them as take-away rather than eating in. 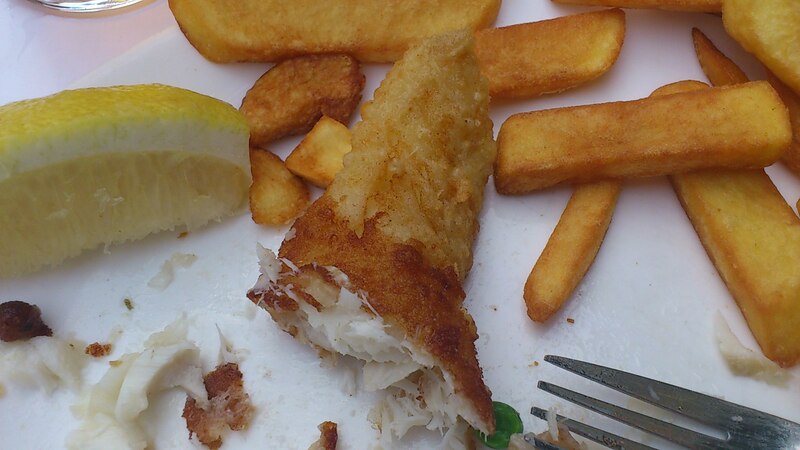 To see the full list and scoring of Fish n’ Chip places that we have visited, just click here. 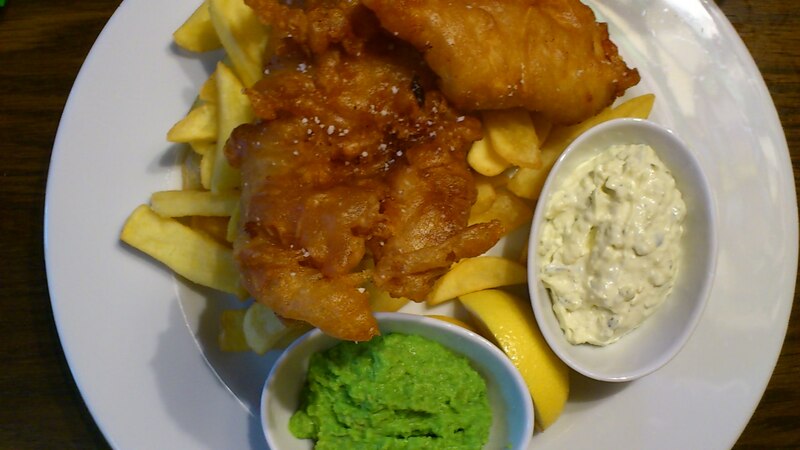 And if you have suggestions for places that serve Fish n’ Chips, please let me know and I will add them to the list.